Review - Backstagers #1 - NewRetroWave - Stay Retro! | Live The 80's Dream! BOOM! Studios Backstagers is delightful and fun, even on a purely aesthetic level. The art manages to toe the fine line of appearing to blend a multitude of influence and styles while still adhering to a completely cohesive look. Backstagers looks like the combination of a lot of elements, but Backstagers looks like Backstagers. Rian Sygh has created the perfect look for James Tynion IV’s bouncy world and bright characters. The story follows an outcast named Jory who has transferred to a new private school. At his mother’s insistence, he joins the drama club. Anybody who has ever been a part of their school drama club knows that it can be one of the best ways to meet new people in high school, and that the time you spend in drama club creates powerful bonds through the high stakes cooperation it entails, and the magic inherent to being a part of a performance. 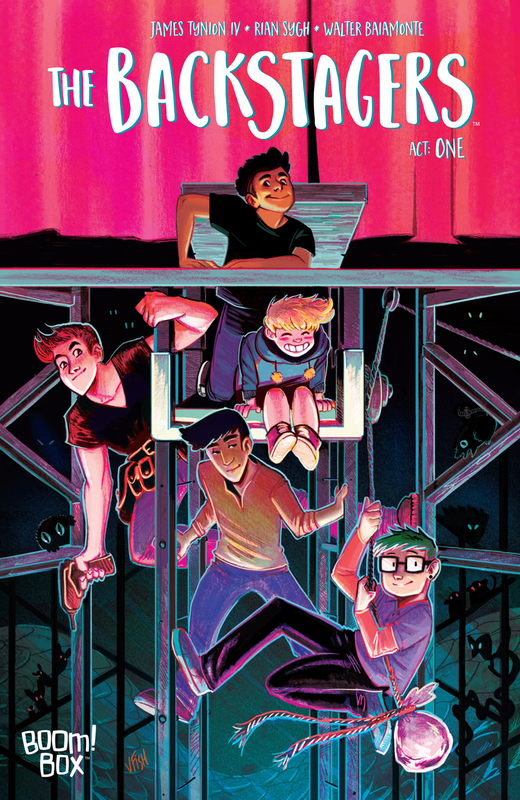 Tynion takes the magic of the stage and makes it literal as Jory heads to the prop room only to discover that it leads to a surreal, ever-changing panorama of worlds. 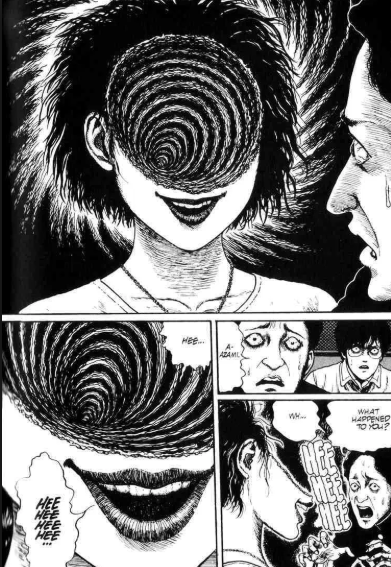 Sygh is pushed to some pretty insane limits as an artist with the amount of surreal panels during this sequence, but it manages to stay grounded, barring a few moments of confusion. The titular team of crew hands frequents these worlds behind the stage unbeknownst to the actors. A small conflict involving some adorable tiny monsters called tool rats, but for the most part this is an issue concerned with establishing a world and giving life to its characters. In that regard, it is a success. Sygh’s art, as mentioned, is at the nexus of many things. There are shades of Steven Universe, Adventure Time, and Astro Boy that seem like the most apparent influences. For a series that is already establishing itself as a lighthearted rump with enjoyable characters and heartwarming moments, this is the perfect look. It’s fun and whimsical, without ever being too much. There is an air of 1980’s Saturday morning cartoons, but not of after school specials. Backstagers #1 is also notable for it’s incredible sense of diversity. In breaking away from being a very white and heteronormative medium, comics have gone through a problematic phase of tokenism, as well as a slightly less problematic phase of making nearly self-aware big deals out of their own diversity, which at best can come off as capitalizing on social change, and at worst further marginalizes the already underrepresented groups. Where Tynion implements diversity brilliantly is the way that any potentially marginalizing label stands far behind several layers of characterization. 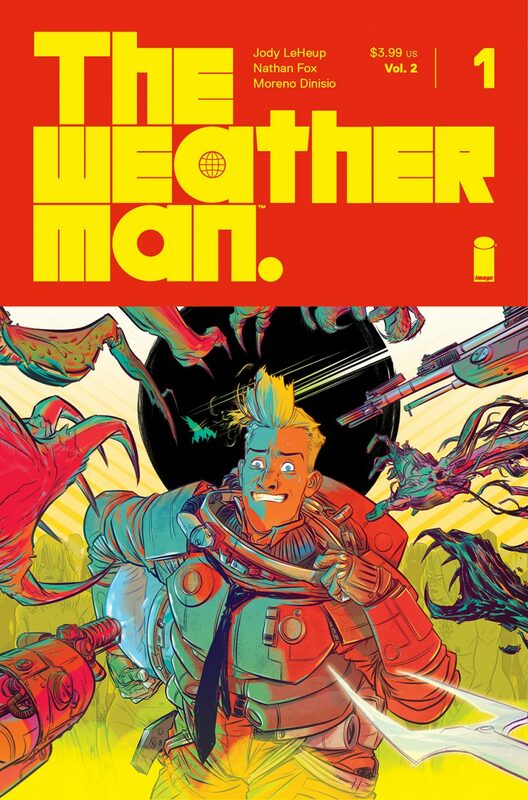 They bounce off one another in interesting ways over the comic’s 24-page run, and all manage to be completely likable. The entire comic comes off as likeable. 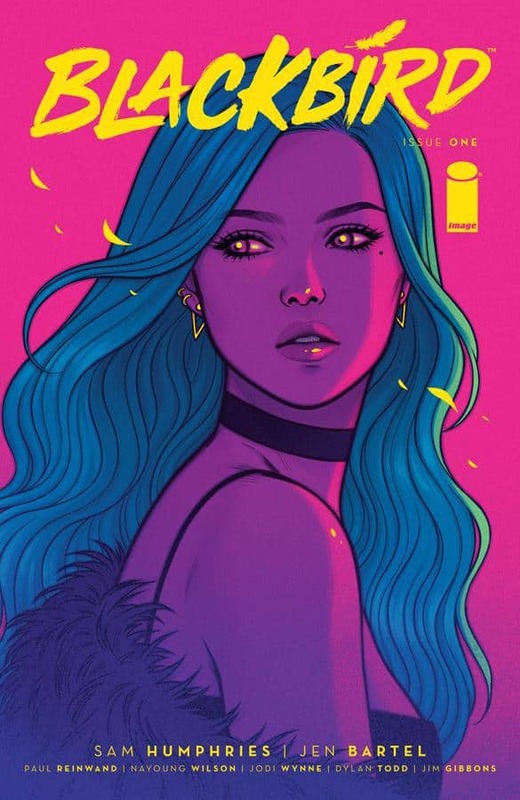 With the big two comic book publishers doing huge events and often resorting to grim levels of grittiness, Backstagers looks to be a refreshing series.